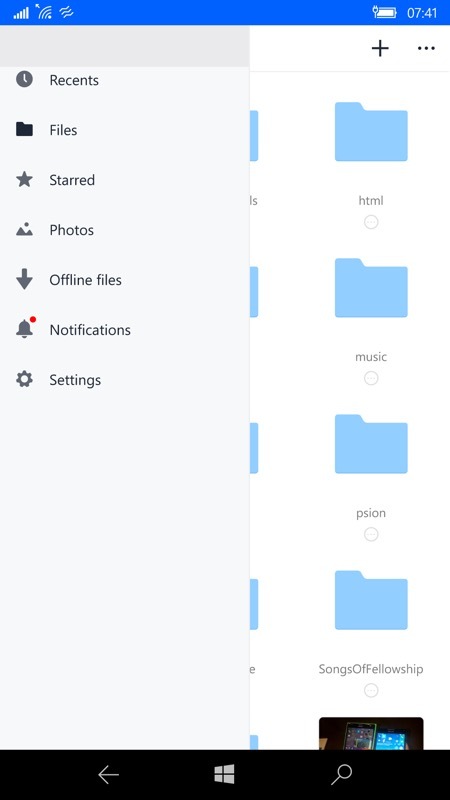 A year of name silliness is now over for Dropbox in its UWP form for Windows 10 Mobile phones. Its name changed from just 'Dropbox' to 'Dropbox Explorer', then to 'Dropbox Express', then to 'Dropbox Cloud', and finally to the stupendously silly 'Dropbox for Windows 10 in S mode, Xbox, HoloLens'. Boggle. 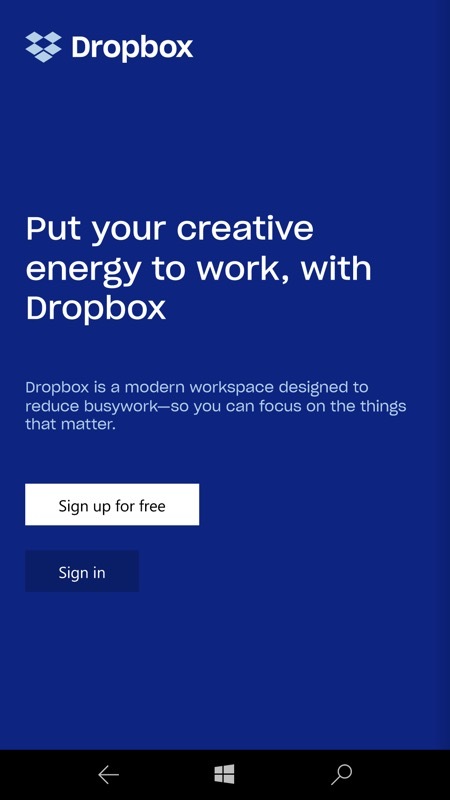 Happily, someone at Dropbox has finally called time on the name confusion and the application is now just... 'Dropbox' in the Store. Phew. 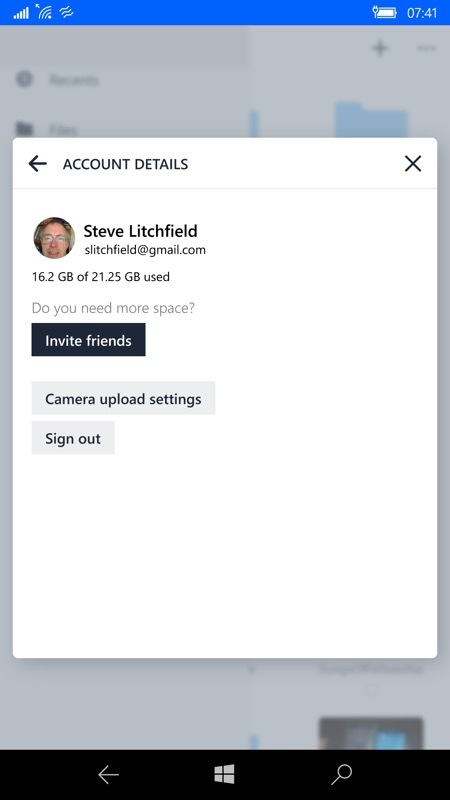 As a bonus, it seems as though Dropbox's controversial three-device limit for 'Basic' users doesn't apply to Windows 10 Mobile and this UWP app - who knew? It's essentially the exact same application, of course, with just minor cosmetic tweaks through the year. We're now up to v19.4.6.0, with the major version advancing a number or two for every change of name (I'm not making this up....)! Signing in (despite already being signed in to my three main computers)! The UI hasn't changed measurably - as we've come to expect. Just minor tweaks and a bump of the version number!! You can grab this in the Store, if for any reason you don't already have it! Curiously, Dropbox recently announced that 'Basic' users would be limited to three signed-in devices, to a huge outcry, since this included phones. However, it doesn't seem that this includes Windows 10 Mobile, so perhaps the platform has crept through a loophole! In any case, I was able to sign in on my Lumias and my IDOL 4 Pro even though I already have three linked computers. Cool, eh?